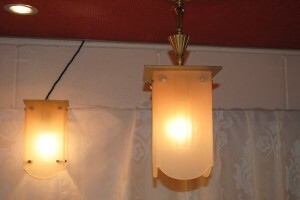 Here we have a wonderful centre art deco light for any room. 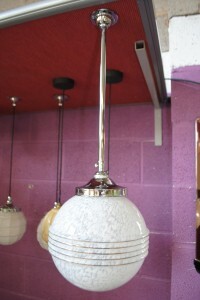 Large 10″ white globe shade complete with chrome 6″stepped gallery ,chrome pendant and matching chrome stepped ceiling rose. All you have to do is decide which room to put it. 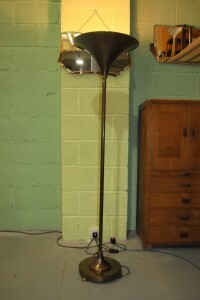 An original French Art Deco chrome and black standard lamp with glass shade . 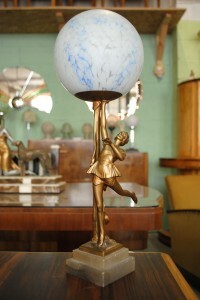 Fantastic looking lamp . 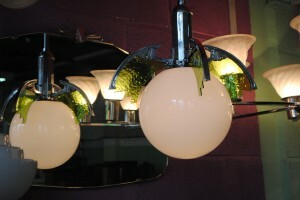 3 original art deco wall lights, beautiful colour glass and details. 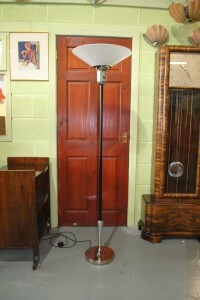 For more information please call 01257 473688. 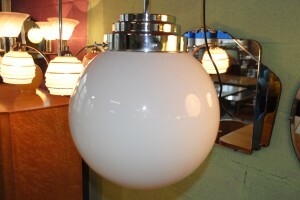 A beautiful art deco chrome adjustable pendant light with Saturn ring glass shade. 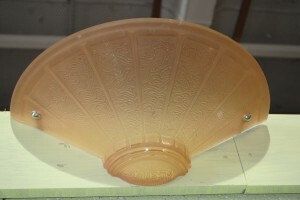 Other shades are available that would also look great. 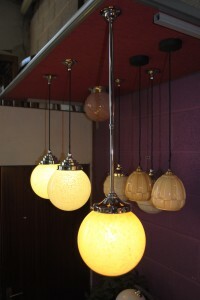 For more details call 01257 473688. 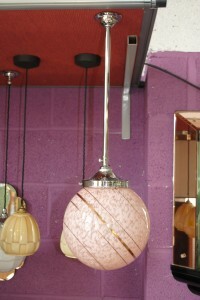 A beautiful art deco chrome adjustable pendant light with glass shade. 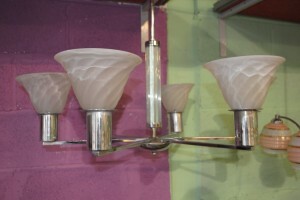 Other shades are available that would also look great. 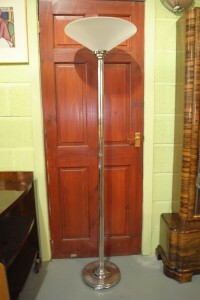 For more details call 01257 473688.